Once I had a unique opportunity to talk with Andrew Stott, the former UK Government Director of Transparency & Digital Engagement. I asked him ‘what is the best way to convince the public institutions to open up their data and to show its potential?’ He smiled at me said: “The best way to start is to organise a hackathon and invite representatives from local public institutions to come and see the results. Just a little hackathon, and you will quickly see interest and engagement in people around the institution and its data”. So this happened … In mid-June, The Otakar Motejl Fund, StartupYard, and Node5 organised “Prague Hacks” – the biggest ever open data hackathon in the history of Prague. Over one weekend, almost 80 hackers, focused on open data from the city provided by the Prague Institute for Planning and Development (IPR) and from the Prague 7 and Prague 8 City Districts. Five days before the hackathon started, a warm-up event was organised to welcome the selected teams and to introduce the sponsors, data, and technology to be used during the hackathon. The Otakar Motejl Fund presented the outcomes of two workshops with local municipalities that aimed at solving municipal problems with open data. The hackers started on Friday evening. Anybody that had an idea for the hackathon was invited to give a pitch, which in the end about 20 teams did. Later, the hackers in attendance split themselves into groups of 2 – 7 people, connecting with the similar ideas they found interesting. Then the hacking began, and continued straight through until Sunday evening. A number of hackers even chose to sleep the night in Node5, StartupYard’s home workspace, and the host of the hackathon. There were three meals a day plus snacks provided, along with free energy drinks, to keep everyone going. This hackathon had two main aims. Firstly, the organisers wanted to engage local citizen hackers and developers with the problems of modern city living, and inspire them to come up with new solutions to issues that any city’s residents might face on a daily basis. This was achieved, since the teams came up with innovative and promising ideas about engaging citizen interests, making data more available to people. Furthermore, it also raises awareness among young hackers, IT developers about the potential of open data and its use. Secondly, the aim of the hackathon was to put pressure on public institutions, in Prague and elsewhere, to make public data more accessible, more comprehensive, higher in quality, and to have Czech best practices and apps based on open data. This also worked pretty well, since the apps created on PragueHacks opened up a discussion about the lack of good-quality transport data from Prague and other fields of public bodies as well. Many of the original ideas from the early start of hackathon changed and developed during the weekend, often based on what was feasible over such a short period of time, and what data was available, there was a steady mix of for-profit, and non-profit ideas represented. Many pre-apps often centred around visualisations of public information. For example, Parking in Prague, City Activity, and Signalizator, all of which try to give an overview of actual conditions in the city, helping visitors and residents to more easily navigate and get things done. Open Schools (Naše školy) – a platform which makes the previously fragmented data concerning public schools in Prague and the surrounding region that allows users to compare schools based on many different criteria. This app involves an API and a showcase app that could be applied to any set of school data. Although, data about schools from Prague City District 7 and Prague City District 8 have been used, the datasets have different standards and formats and thus few hours were needed to unify it according to set of certain standards. This experience of cleaning data before even using them shows huge demand for standardised datasets for this type of datasets as well as any datasets from education in general. NeverRun shows the great potential of transport data. Since it is for anyone who communes to work daily with public transport. It shows the position of transport vehicles all around you. Time will show whether this event has been a success, but I am sure that it has already been a success. As an Open Data Advocate I could see the big potential in these apps, many hackers got interested in open data and through this to improve public sector. For instance, NeverRun highlights the fact that information people want, such as the actual locations of trams and buses on the transport network at any given time, needs to be made available. Some of Czech cities made this data available, like city Brno. The hackathon winner Open Schools also built their school evaluation app and API as proof of what high quality data can provide to city residents. This could really push more cities and municipalities to make more and better data available for these purposes. Once city residents and officials recognise the potential uses of the data, they should also understand the importance of making it public and highly visible. Michal Kuban works as an Open Data Evangelist at Otakar Motejl Fund within Open Society Fund Prague. He is an History graduate of Palacky University, Olomouc (CZ) and he earned his master degree in Erasmus Mundus Programme Euroculture from the University of Groningen (NL). He works as a journalist for Datablog.cz. 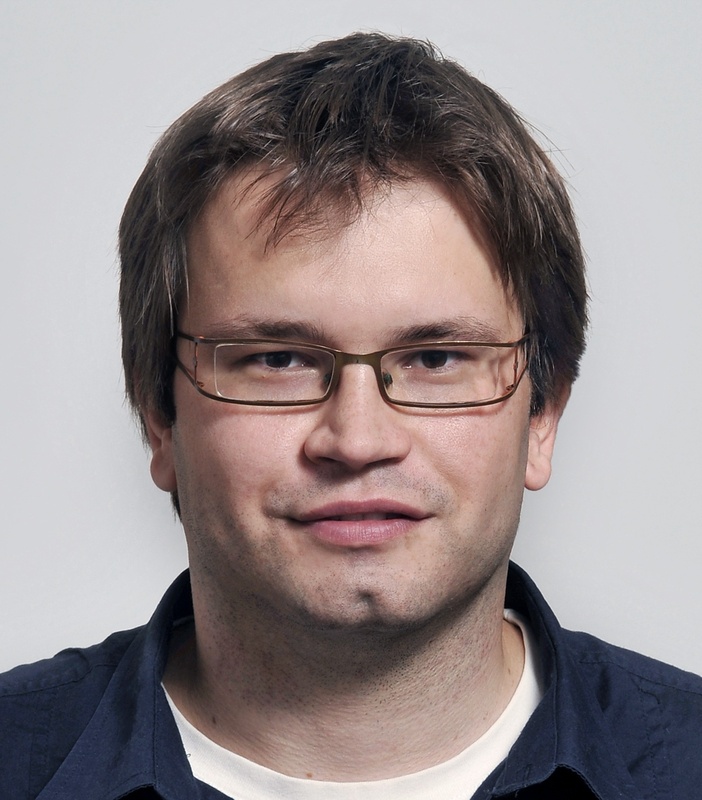 He is active in the open data community in the Czech Republic and Slovak Republic. He is interested in combining his deep interest in the European Union with the role of the open data in public sector, mainly in the Czech Republic and Slovakia. Data journalism and new media are two other topics catching his attention.